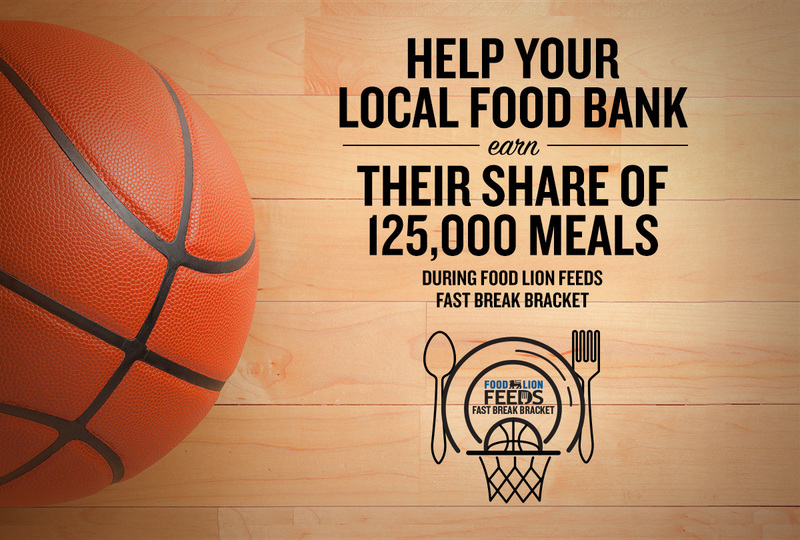 "March is tournament time, and the Food Lion Feeds Fast Break Bracket is our way of bringing together our 30 food bank partners for some friendly competition in line with the season"
SALISBURY, N.C.--(BUSINESS WIRE)--The final rounds of the Food Lion Feeds' #FastBreakBracket social media competition tip off this week, where the championship food bank will receive a 50,000 meal donation from Food Lion Feeds. 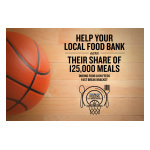 The social media competition among Food Lion's 30 regional food bank partners is a multi-round competition that will run through April 8, with fans of the participating food banks voting for their favorite food bank here. 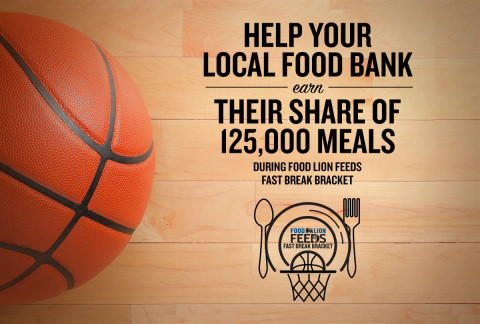 Each food bank’s fans can follow along on the Food Lion website and at #FastBreakBracket on Food Lion’s Twitter and Facebook pages. Each of Food Lion Feeds' 30 regional food bank partners participated in a play-in voting competition on Food Lion’s website which resulted in the 16 participating food banks participating in the final competition. Fans will be able to vote for which food bank advances to the next round, with each period of voting lasting 24-hours, until the two finalists are announced on April 6. All 30 food bank partners will receive a 500-meal donation from Food Lion Feeds for participating in the competition, with first round winners receiving an additional 1,250 meal donation, second round winners receiving an additional 2,500 meal donation and third round winners receiving an additional 5,000 meal donation. The two food banks advancing to the championship round will receive an additional 10,000 meal donation, and the grand champion will receive an additional 30,000 meal donation from the grocer.